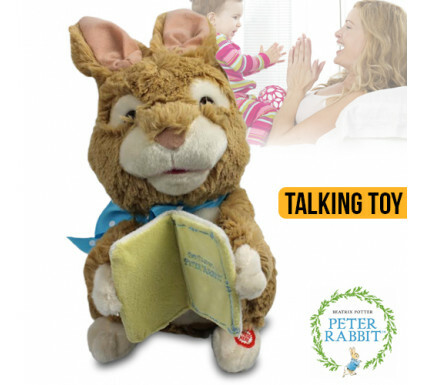 Soft and cuddly Peter Rabbit wants to tell you a story! Open his journal and he will start telling a tale. The Story-telling Peter Rabbit is suitable for children aged 3 years and over and is great for bedtime.